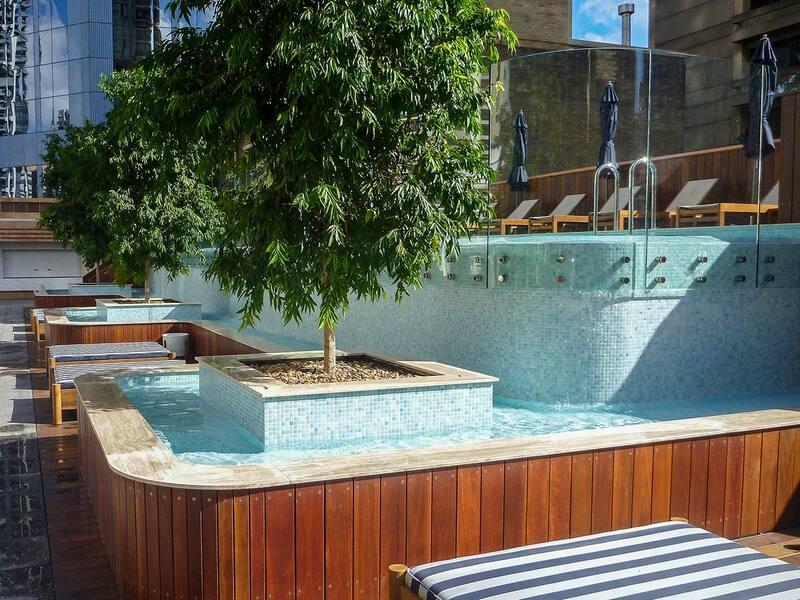 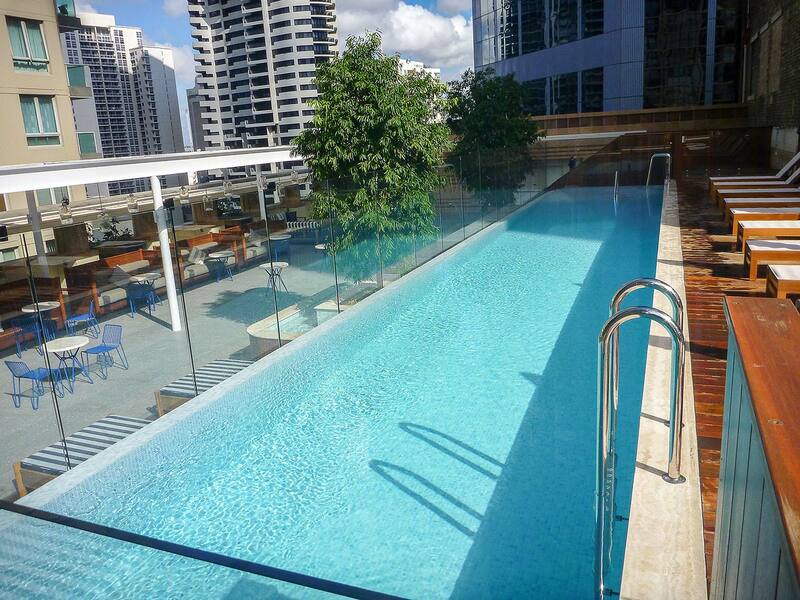 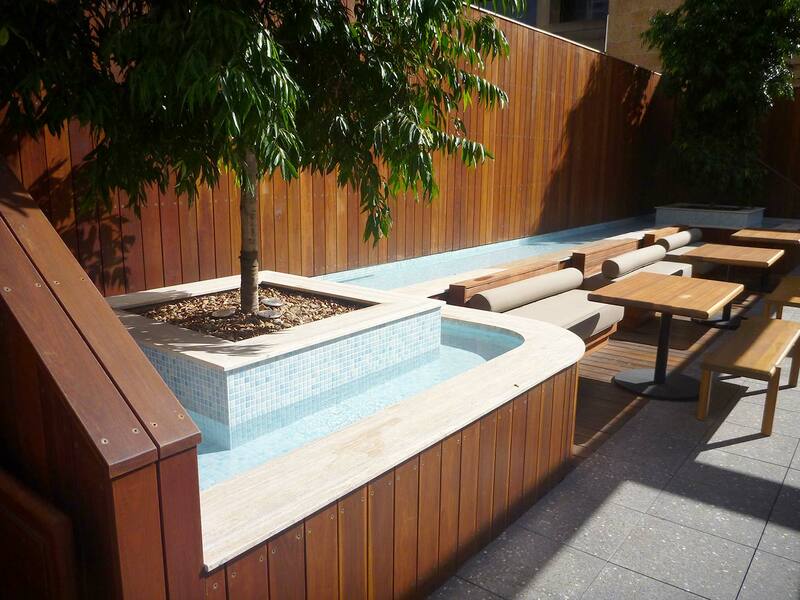 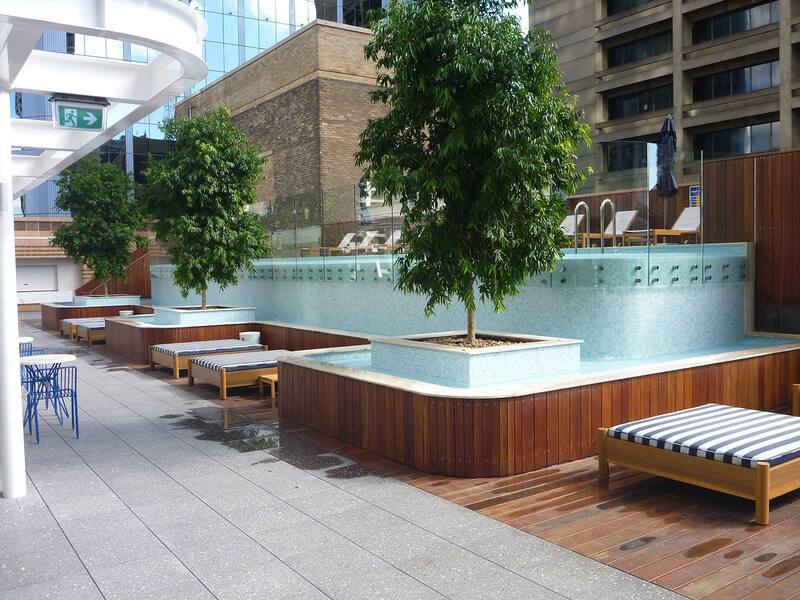 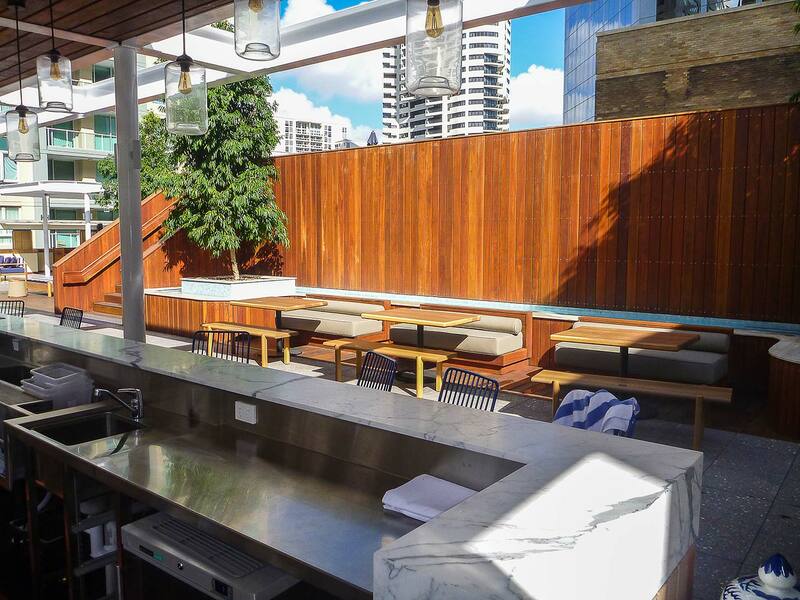 The new Primus Hotel in Sydney is a glamorous 5-star, art deco hotel located in the hear of Sydney’s CBD. 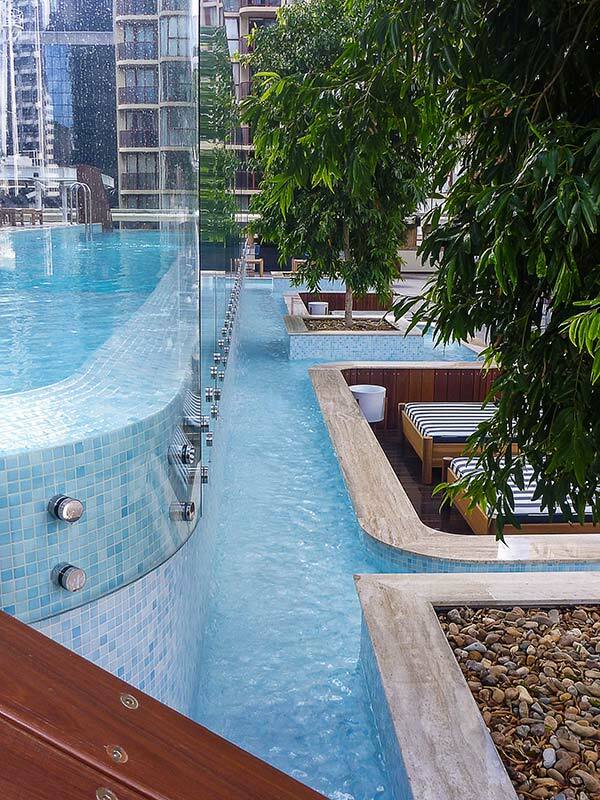 Crystal Pools completed the rooftop pool complex which features a 20m heated lap pool and a full-length wet-edge that spills over into a water feature and open courtyard. 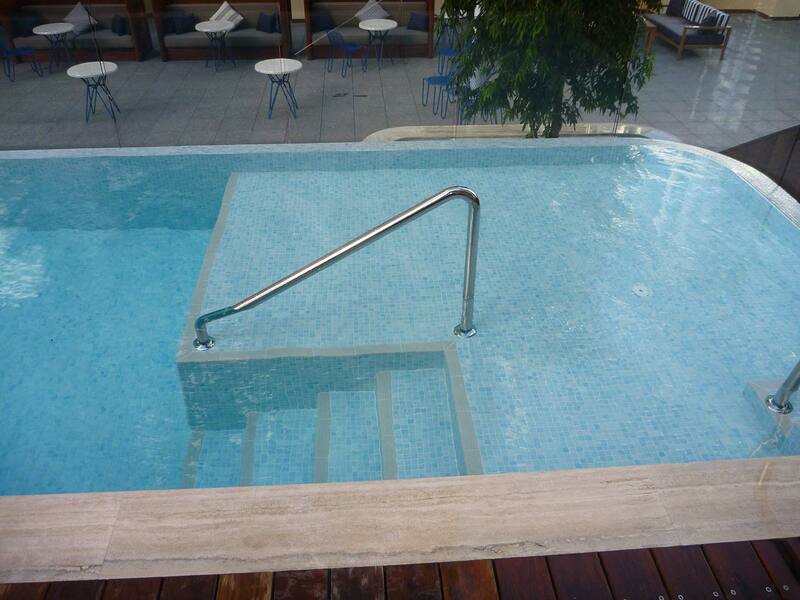 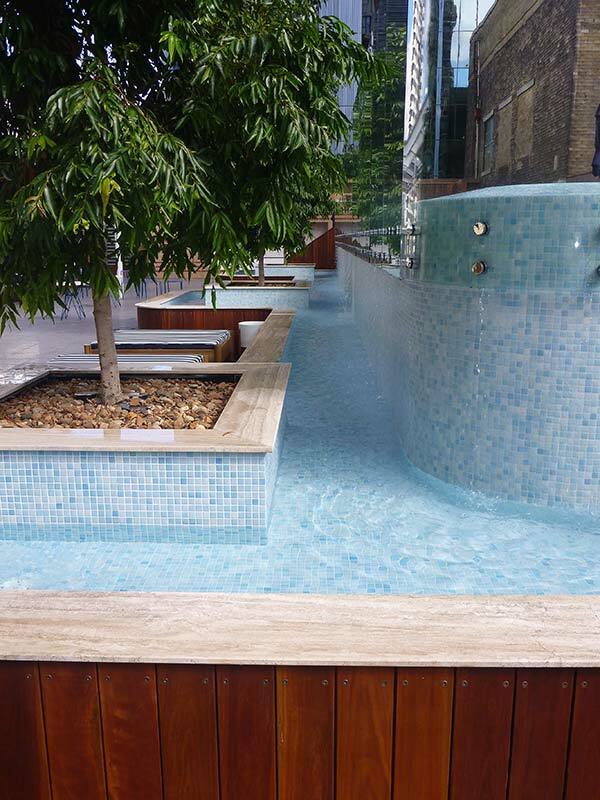 This stunning glass mosaic tiled pool is finished with sophisticated limestone coping. 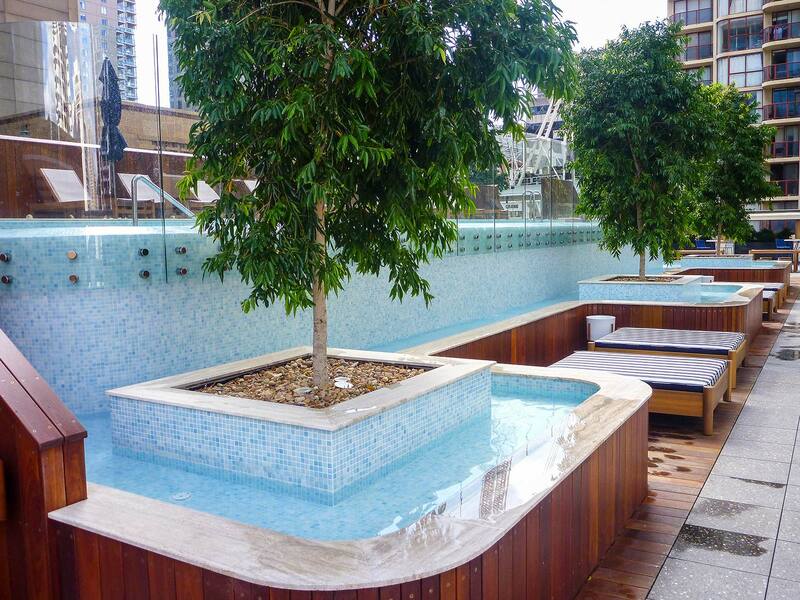 This pool complex won the 2016 MBA Award winners ‘Commercial Pools’ and ‘Commercial Water Feature’ categories.